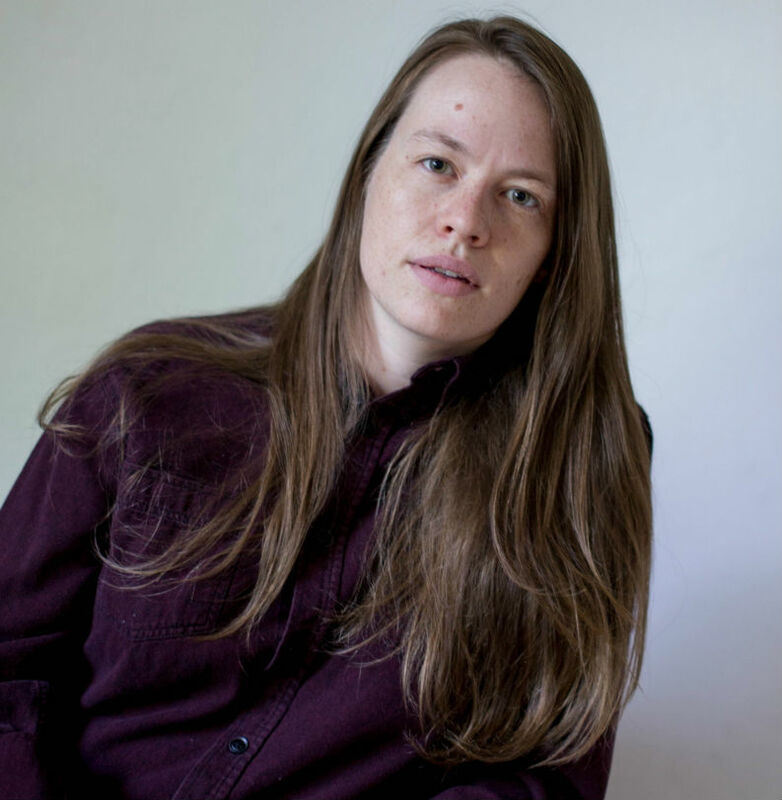 Alicia Mountain is a queer poet, PhD candidate at the University of Denver, and assistant editor of the Denver Quarterly. 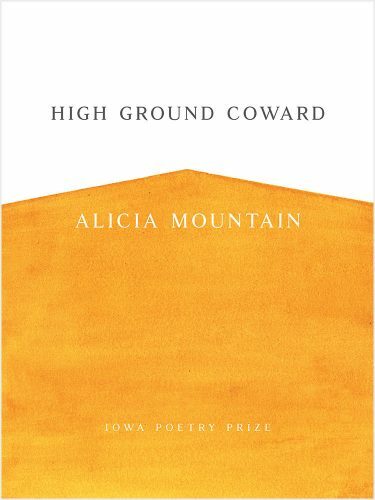 Winner of the 2017 Iowa Poetry Prize, her debut collection, High Ground Coward (University of Iowa Press), was released in April. 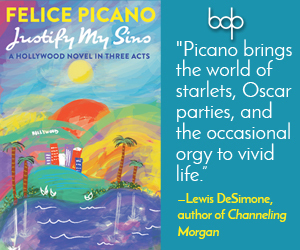 Alicia Mountain looks at every tiny thing very closely, and in doing that conveys the big picture of a vast inner life with marvelous clarity and depth. 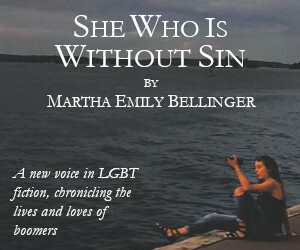 Her voice is intimate, brash, always precise, heartbreaking in both its vulnerability and its authority. These poems are carried away by both lust and intelligence. This poet understands desire: its expression lets loose while giving form. This book doesn’t detour, it goes right to and through the overpowered, relentless heart of its speaker and the reader is struck through too, and good. ‘High Ground Coward’ is a dazzling debut by a rare, true talent. Over the course of a week, I spoke to Mountain about her identities as a writer, purpose, and her new book. I am feeling excited tonight. I just put down a book of theory that is getting my mind churning lately—Christina Sharpe’s In the Wake. Though her subject (the ongoing disaster of violence against black people in the diaspora) is hard to bear, Sharpe’s conceptualization is powerful and provides a framework for reckoning with this historical and present trauma. I’ve been reading In the Wake with a group of other folks and I’m looking forward talking about the text with others. The word “inspired” can sound kind of cheesy, but in a literal sense it is to be breathed into. So I am inspired, filled with breath. When was the first time a work of art made you feel that way? I remember reading Jhumpa Lahiri’s short story collection Interpreter of Maladies when I was in high school and deciding that I wanted to write. I remember I was babysitting and after the kids went to bed I picked up the collection of the family’s coffee table and started to read it. When the parents returned, the mom saw that I was in the middle of a story and told me to take Interpreter of Maladies home with me—that I should have it to keep. That collection changed me. It felt like I was suddenly, at 16, an adult reader with adult concerns to which Lahiri spoke. Her pace, descriptions, and world-building were gestures of true artistry to me. Her work hit me in my gut. I applied to Barnard College and went there because it’s where Lahiri had gone to school. I studied and wrote fiction while I was there. It wasn’t until after college that I really started writing poetry. Oh, that’s so cool! Even though your own work is explicitly autobiographical in nature, I sort of feel the same distance that Lahiri puts between her characters and herself as I do between you and your poetic personas. And while I was reading High Ground Coward I thought of the personas from poem to poem as “neighbors in thought,” as opposed to a consistent voice with a narrative flow. Is that a mood that you consciously set out to curate in your book? Who is the “I” in your poems while you’re writing? I love that description, “neighbors in thought.” That makes a lot of intuitive sense to me for this book. In High Ground Coward, the poems all exist in the same world, or seek to build a world together. I did intentionally work for both cohesion and variation in the work. Perhaps the range is most obvious in differences of form, but images, tones, and vocabularies make pathways that link the work. The “I” in High Ground Coward is close to me—that is to say we have much in common and also that I feel us to be intimately bound. The speakers are perhaps parts of myself disentangled, held up to the light to behold, and re-entangled. Or they are possible selves that may only ever come to exist in the world of this text. The book itself as a whole also has a personhood for me. Maybe I should have more distance now that it’s an object, but I’m fond of it. I am so curious about how readers will move within the space of this work, who they encounter here. What parts of your identity do you find heightened as you write, and which parts are suppressed? Do you have a set of characteristics, behaviors, or attitudes that you see as making up a basal or innate self? In some poems I might serve more as a perceiver relating a moment, in others I am a speaker addressing a “you,” and then I can also be an actor in a scene. There are certainly poems that highlight my goofy side. Often I’m serious—feeling can be serious business—but I also notice places in poems where I poke fun at myself. Poetry is a space where I hope not to suppress much of my identity. I’m pretty forthright about being queer, which seems like an innate part of myself. Of course, I’m not just thinking about identity, but also about an intersectional, politically queer worldview as it relates to architectures of power. As to behavior, I might point to my poem “Almanac Traction”: “I am not funny at parties, but I’m good with the leftovers. / I have a sense for lids and their jars wearing label-glue residue. / When I am in love I am good with the laundry, / bad about eyes on the road.” But I’m a Leo, so my Leo-self wants you to know that I really am fun at parties, too. Haha. I loved “Almanac Traction”: I remember highlighting half of the poem on my first read. To me, it reads a lot like a cross between a love poem and a confessional, and that intersection feels so intensely personal that it feels a little uncomfortable to read—like I’m intruding. I feel that sense of intrusion a lot in High Ground Coward, the sense that I’m reading something private that’s been slipped in by accident. How do interact with points of access in your work as they relate to your audience? How do you envision the people who read your work as you’re writing? Even the personal can be made available through language and image. If a reader doesn’t know the exact circumstances of a moment in a poem, they know the way the words move through them and perhaps how they might place bits mystery within their map of the book. I appreciate the way that uncertainty can be its own form of access— it almost wouldn’t be poetry if we had singular explanations for every element of the work. I intended High Ground Coward to be a world without shame. Though some of the poems are confessional or personal they don’t have to be private. I’m interested in what it looks like to stand tall in difficult feelings: embarrassment, love, anger, desire, cowardice, even joy, which can be difficult too. These moments are available to the speaker and also to the reader. Of course, these internal experiences also intersect with a sociopolitical existence, which is also personal, which is also emotional. When I was writing, I thought of readers in a few different ways. In terms of form and craft, I thought of the close poet-friends who read drafts for me and who know my work well— those folks who have a sense of how a poem might be part of my larger body of work. Sometimes I thought of the “you” as a reader. The collection has a whole collection of different “you’s,” some real and some imagined. Finally, rounding it out, I thought of a hazy figure that is the reader who is just meeting this work for the first time. Even though the conversation between poet and reader is rather one-sided, I feel like I might somehow get to know them, too. Shereen Lee lives and studies in Taipei. Her work is featured in the Adroit Journal, Juked, and the Ploughshares Blog. She serves as managing editor for TRACK//FOUR, a literary journal for people of color.